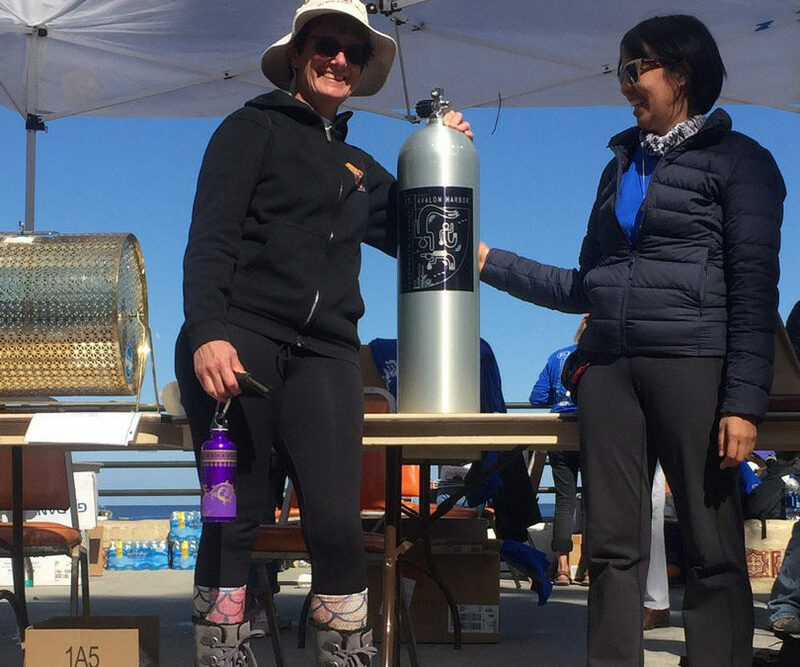 Catalina Cylinders donated a SCUBA cylinder with a silkscreen of the 2018 winning artwork design to the hosts of Catalina Island’s 37th Avalon Harbor Underwater Cleanup. This is one of the largest annual dive events in Southern California. Catalina’s SCUBA cylinder was 2018’s Door Prize and was quite a hit!